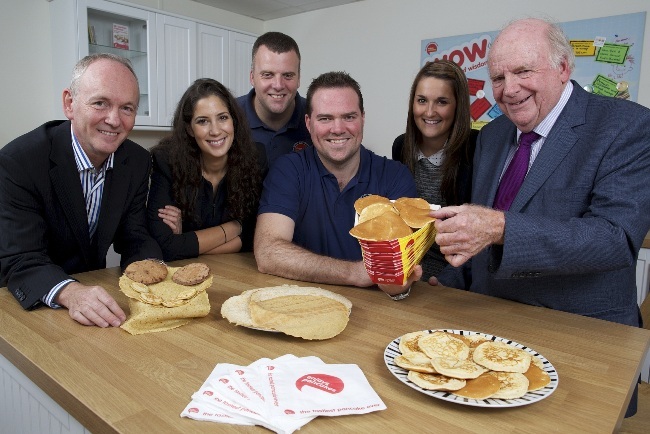 A burgeoning Leeds based pancake manufacturer has attracted a £350,000 Equity Linked Investment from Finance Yorkshire. From modest beginnings in 2005 as a creperie in Headingley, Enjays Pancakes has grown to become the UK’s leading manufacturer of crepes, pancakes and blinis. It is the first investment in the food sector for Finance Yorkshire’s Equity Linked Fund, and will enable Enjays to significantly develop its product range, creating up to 10 new jobs. The investment caps a tremendously successful period for Enjays; from its first branded cart at Butlins in 2008, the firm went on to open branded outlets at theme parks and universities throughout the UK. Then in 2011, it opened a dedicated pancake factory and became principal supplier to food service provider, 3663. Finance Yorkshire was represented by a strong deal team at Walker Morris and invested alongside sector-experienced Howard Farquhar who, following his investment, has been appointed as Chairman of the business. “This investment secures the long-term future of Enjays at a really critical time. It will open up many opportunities in potential new markets and will allow us to take an increasingly strategic approach to the future. “The ambition and commitment of the management team made Enjays a promising investment for Finance Yorkshire.